United Nations, April 16: The UN has said it wants to do more to help the people of Rukban in Syria -- those who fled and those are still there -- if granted full access. 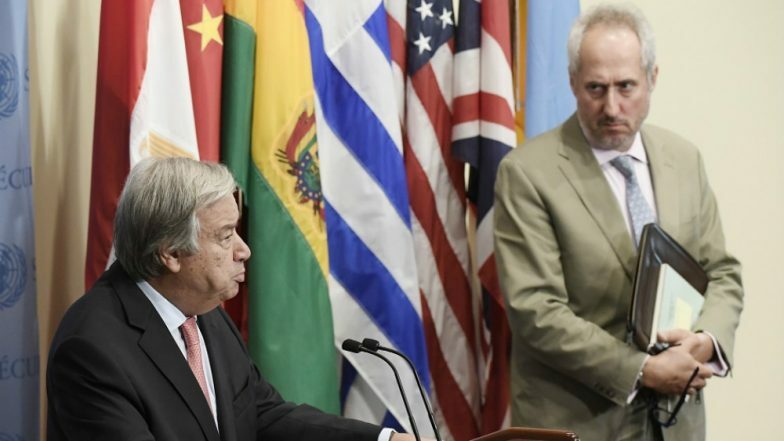 Stephane Dujarric, spokesman for UN Secretary-General Antonio Guterres, on Monday expressed the world organisation's willingness to engage more directly if granted full access, Xinhua news agency reported. "This is the fifth group of people who've left Rukban in the past three weeks," he said. "To date, more than 3,600 people have exited Rukban camp for shelters in and around Homs city. Nearly 1,200 have left shelters to stay with relatives." "Our humanitarian colleagues add that over the past four days, 10 people have been killed and 20 people have been injured, in hostilities and explosions in Aleppo, Idleb and Hama Governorates in the northwest part of the country," the spokesman said. "We call again on all parties to the conflict to cease all violence and remind them of their obligations under international humanitarian law and human rights law," he said.